Thank you very much for responding to my request for 100mm of drought breaking rain. I actually envisaged that you might send the rain as gentle drizzle over two days rather than in seven huge thunderstorms. Perhaps I should have been more specific? And was the extra 105 mm a mis-calculation or were you just being generous? 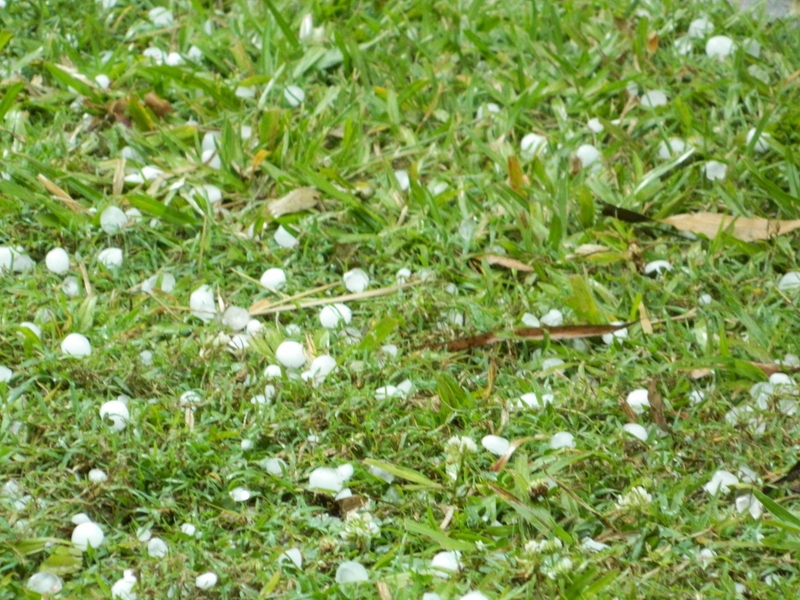 The addition of hail to Wednesday’s storm was a great idea. It changed the day from hot and oppressive, to cold and dangerous in a matter of seconds. Being a God, you are obviously aware that my motto is “neat is good”, so I’m not sure why you sent the strong winds to strip the leaves from the trees, shred them and scatter them ALL OVER my garden like confetti. The pond is overflowing and the frogs are deliriously happy … so happy in fact that I am able to identify five different species from the comfort of my bed even with ear-plugs inserted. The grass has turned from anaemic to a gorgeous technicolour green in a matter of days and I can almost hear it growing. Unfortunately due to repetitive drenchings the ground is waterlogged and I am unable to use my ecologically-sound but underpowered electric lawn-mower. So when the lawn finally does dry out I will probably have to mow it TWICE. Now I don’t mean to sound un-grateful… but would you please STOP ! 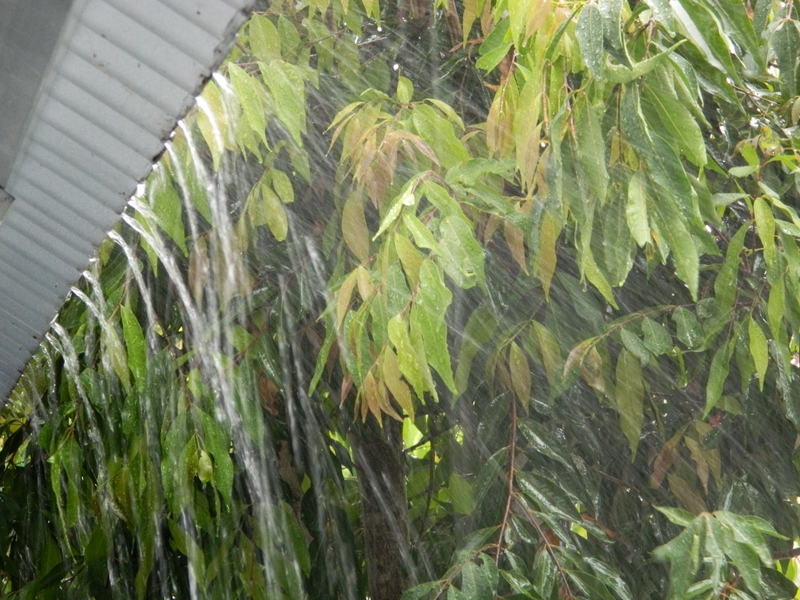 Previous With thanks to the Rain God …. What is an extra 105 mm and a little bit of hail but a drop in the ocean. Indeed, I have far more planned for you than 205 mm. This is just the beginning.